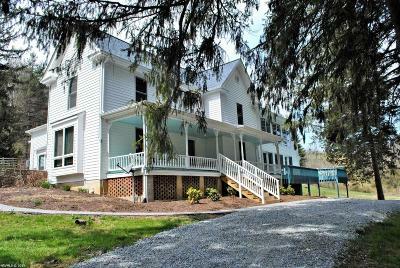 Six BR country estate on 4.8 acres with over 700&apos; of frontage on Little River w/beautiful vistas & has been restored & modernized while maintaining the charm & character of yesteryear. 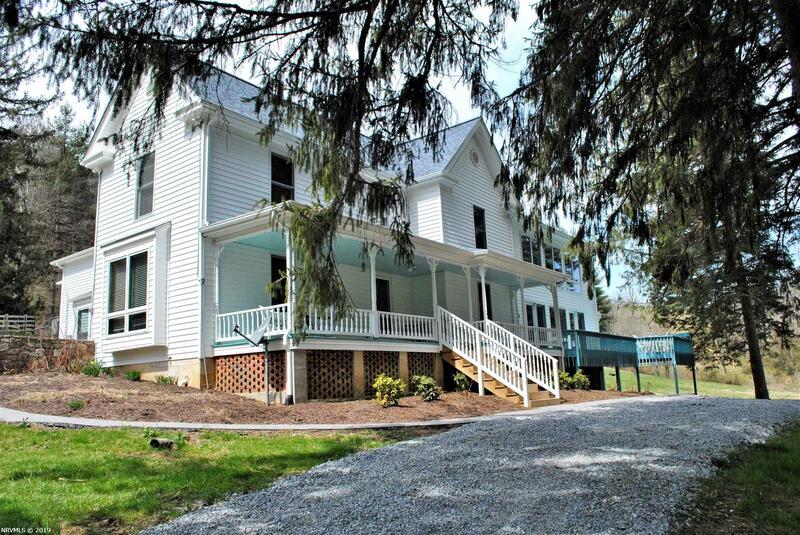 This treasure has been used as a bed & breakfast & contains 2 separate studio apts above the two-car attached garage & full guest suite w/kitchenette in main house w/access to private screened-in porch that has recently been added. Totally renovated kitchen w/brand new appliances, cabinets, sink & floor. A âbar roomâ was added w/ornate glass front cabinets, beverage center & wine cooler w/access to new screened-in porch w/stamped concrete floor that opens to a patio w/fire pit perfect large gatherings. Views of river thru spectacular wall of windows in LR, from wraparound deck or covered porch. Newly added herringbone sidewalks around front & sides, new horseshoe driveway & partially wood fencing for horses. Bsmt has new tile flr w/kitchen, rec area & bath. Luxurious home w/great investment potential. Directions: From Auburn Schools In Riner Take Riner Road/Rt. 8 South Towards Floyd. Turn Right On Little Camp Then Make An Immediate Left That Takes You Under The Bridge. Home Will Be The At The End Of The Road Near The River. See Signs.